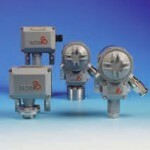 Over 40 years BETA designed and produced the best pressure and temperature switches for our customers. This has given us valuable and detailed experience of industrial needs. It resulted in a high quality OEM instrument: the BETAMINI. The growing demand for high quality, reliable products has increased the need for better components. No OEM can afford to be less than certain about the components behind his nameplate! After all, weakest components determines your overall strength. The “BETAMINI” fulfils the need for a high quality OEM Pressure, and Temperature switch with build-in reliability.